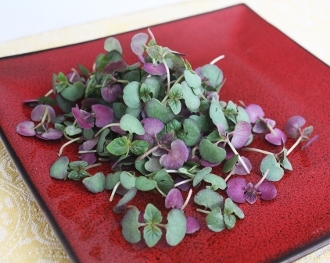 Delicate and attractive dark reddish-green leaves.Subtle shiso flavor. Beautiful garnish for sushi, sashimi, or float on top of miso soup! Not only a great garnish for Asian cuisine, but also great for garnishing meats and all types of appetizers.